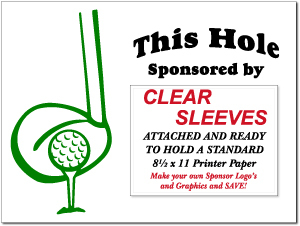 Home > Reusable Sponsor Signs > 18 18” x 24” Golf Sponsor Signs with Clear Plastic Sleeves and Stakes and Free Shipping! 18 Hole Kit - 18” x 24” Coroplast® Golf Sponsor Signs with Clear Plastic Sleeves and Display Stakes. These signs look good, work well and are reusable- perfect for an annual charity tournament. Every year we have a golf outing...and every year we have different sponsors. We were looking for signs that would give us a cohesive look and would save us money over time by not having to purchase a new sign for a new sponsor. We ordered this design and they came out looking great and are very sturdy. Highly recommend. Cost-efficient product for recurring events. 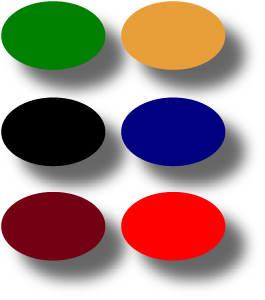 Good size for visibility and easy to use. I recommend!